Professor Nigel Wright took up the post of Deputy Vice-Chancellor for Research and Innovation at Nottingham Trent University in September 2018. 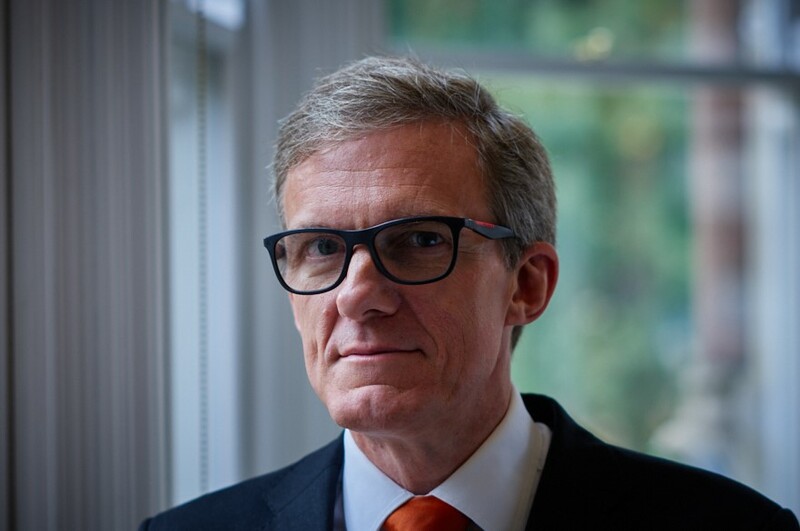 As Deputy Vice-Chancellor, Professor Nigel Wright represents the Vice-Chancellor at external and internal events, and is responsible for influencing thinking in relation to research policy and industrial strategy, both within and beyond the University. He provides strategic leadership for the areas of research, innovation, enterprise, partnership and philanthropy. Professor Nigel Wright was appointed Deputy Vice-Chancellor for Research and Innovation at Nottingham Trent University in September 2018. His previous posts include Pro Vice-Chancellor for Research and Innovation at De Montfort University, Leicester - from 2017 - having initially combined the post with that of Pro Vice-Chancellor and Dean of Technology (September 2015-16). Prior to this, he was Head of the School of Civil Engineering at the University of Leeds. Nigel studied Mathematics at the University of Bristol and completed a PhD in Mechanical Engineering at the University of Leeds. He joined the University of Nottingham as a Lecturer in 1993 and was ultimately promoted to a personal Chair in 2005. In 2006 he moved to the Netherlands to take up the Chair of Hydraulic Engineering and River Basin Development at UNESCO-IHE and TU Delft. He moved to Leeds in 2009. From initial research on the use of computers to predict the movement of fluids in the natural and built environment, Nigel's research has expanded into the cross-disciplinary aspects of flood risk management and climate change adaptation. This has led to funding from the Engineering and Physical Sciences Research Council, the Natural Environment Research Council and the Economic and Social Research Council amongst others. Nigel has published over 120 papers in peer-reviewed journals and conferences. Along with co-authors, in 2009 he was awarded the Harold Schoemaker Award of the IAHR for the best journal paper in the period 2007-9. Nigel's work has had a strong international focus. In addition to time spent working in the US and the Netherlands, he has worked on collaborative projects in Ethiopia, Zimbabwe, Zambia, Mozambique, Argentina, China and India. He is currently a Visiting Professor of the Chinese Academy of Sciences.